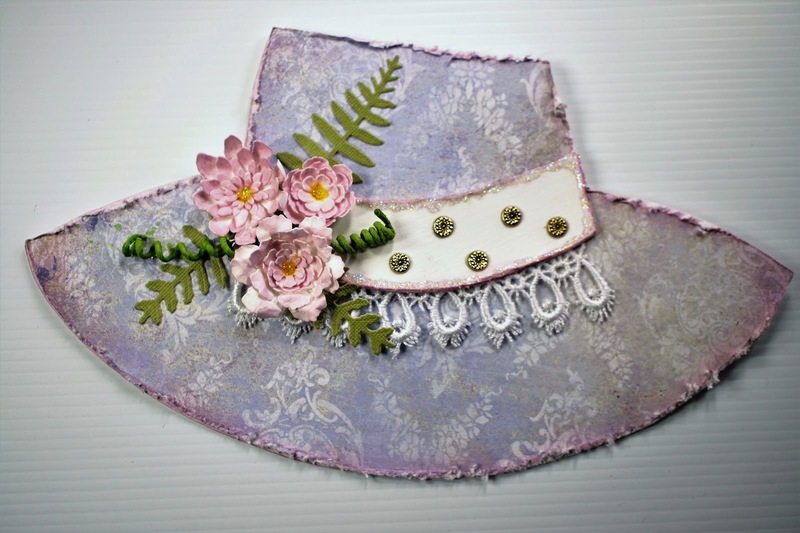 I would like to share with you my card that I have created for Bizzy Becs Store Blog. Place top of hat shape onto folded edge of white cardstock. 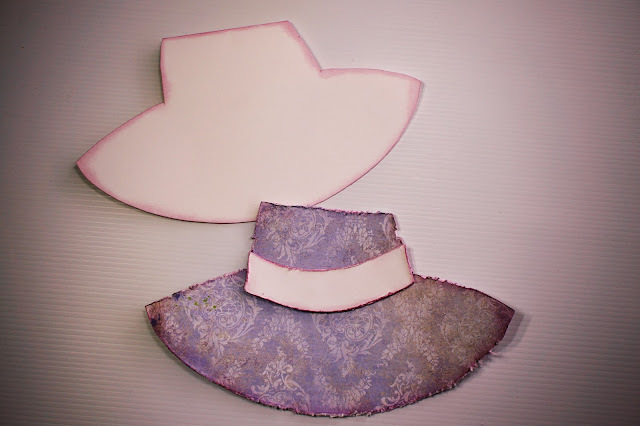 Trace around the hat shape, then cut out to create a card blank. 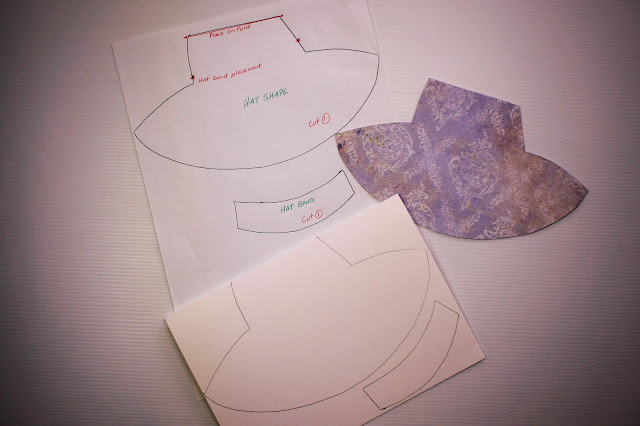 Place hat shape onto patterned paper, trace around then cut out shape. 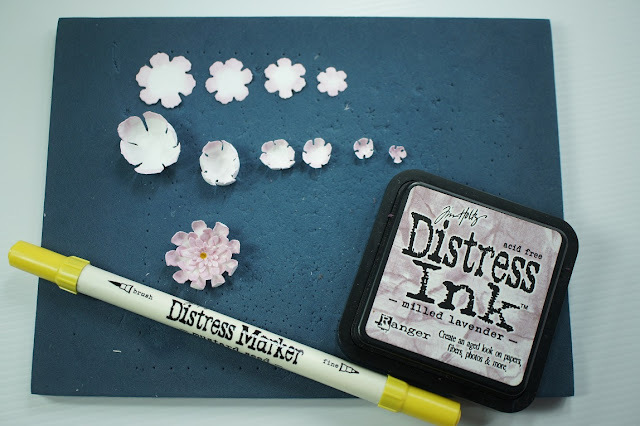 Using a distressing tool, distress the edges of the patterned paper. Then adhere to card shape. 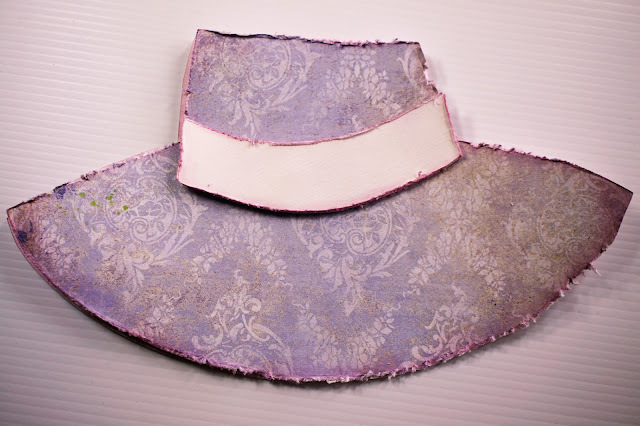 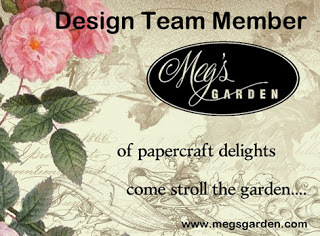 Ink the edges using distressed ink, Milled Lavender. Distress, ink & add lace to the hat band before adhering to card. Die cut flowers & leaves. 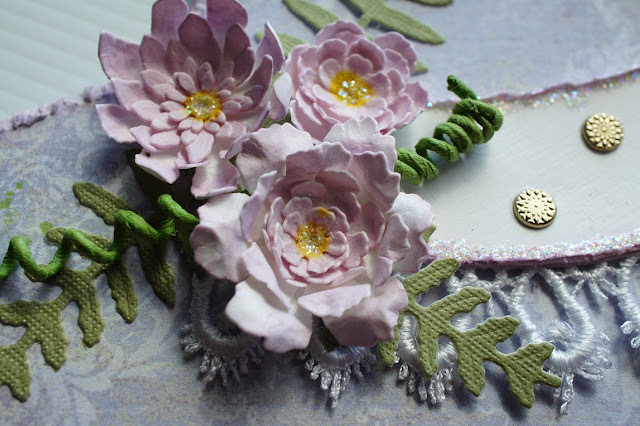 Ink, shape then assemble flowers before adhering to card as shown. 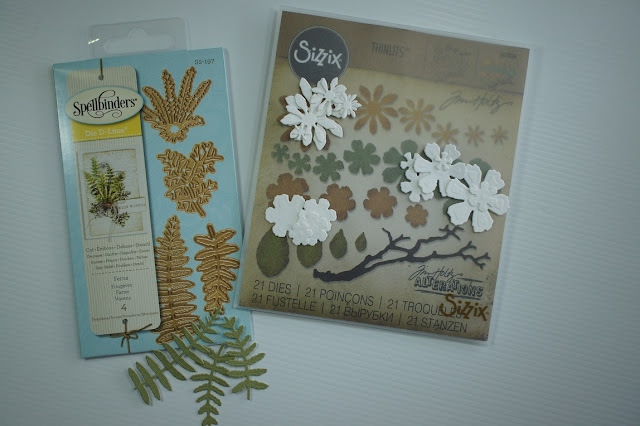 Add leaves & glitter glue to finish.